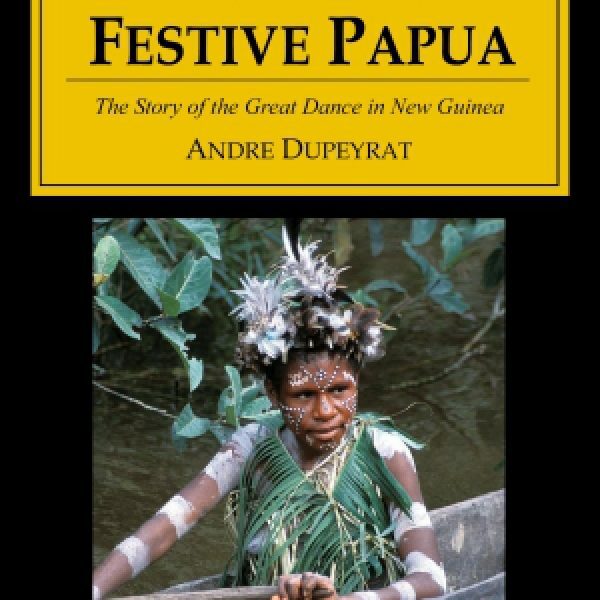 Father André Dupeyrat, a Catholic missionary in New Guinea, went to those remote islands before World War II to convert the “natives.” But the good father had a scientific eye as well. 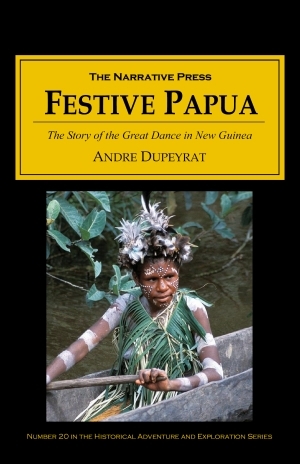 His book depicts the Gabé (‘Great Dance’), the greatest ritual of the Fuyughéans, the native peoples among whom he lived. He managed to offend the Fuyughéan emissaries who came to invite him to the Gabé by returning the tobacco leaves they had offered him, calling them insultingly inferior. To them this meant he would not be coming to the Gabé — it also meant war! Fortunately, his native servant “Friday” (I kid you not) intervened and Father André apologized for his mistake. He was only an ignorant “clay man” (European), and would be delighted to accept the leaves and join them. …All at once, however, a shudder went through the assembly, and everyone froze into immobility. From the nearby forest erupted a troop of about a hundred men of terrifying aspect. Their faces were painted with brilliant colours — red, black, white, yellow — in designs and patterns which a Picasso might well have admired. Some had one side of the face daubed with red or yellow, while the other was leopard-spotted with dabs of white or black; others had the lower jaw and the forehead covered with a band of red paint heightened by black lines, while the nose seemed to be divided in two by a centre line of yellow reinforced with red…The men’s bodies were also painted, and the general technique seemed to be to draw heavy white lines over the approximate position of the bones, so that the dancers looked like living skeletons. On their heads, waving like a mane, were cassowary feathers, filmy as smoke and black as soot. Between their clenched teeth and lips drawn back in a frightful grimace, many of them held two of the whorled tusks of an old boar. In each man’s right hand, at head height, was clenched a long black spear, shaken with swift, wild vibrations. 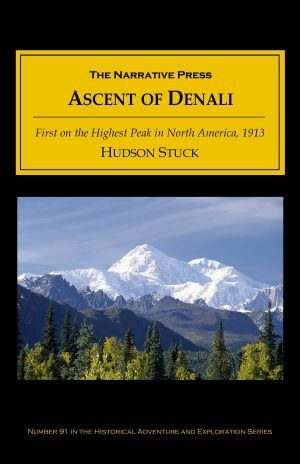 Father Dupeyrat’s greatest strength is his appreciation for the symbol and beauty of ritual, and this book is a thoughtful and extensive tribute to the greatest festival of the Fuyughéans. It is also delightful reading.